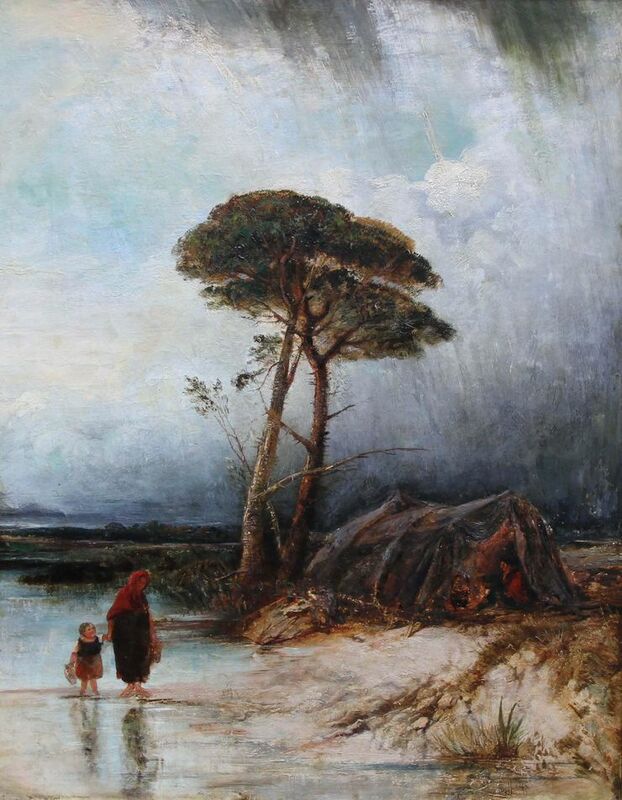 A fine large oil on canvas which is attributed to circle of David Cox. It is a super evocative landscape which depicts a couple seeking shelter and man by the fire in a bivouac on a blustery rainy day. The painting is full of vitality and impressionistic colour. 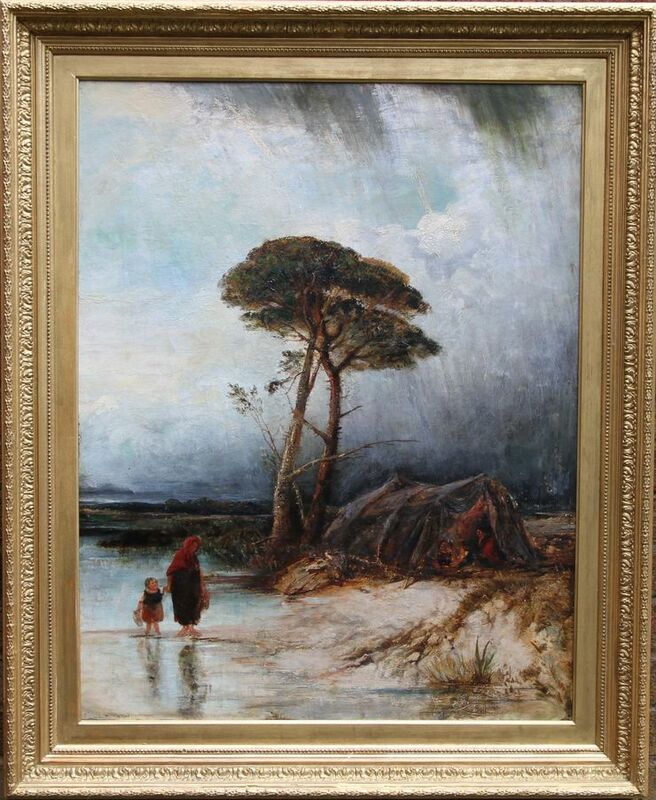 It is a fine period British Victorian oil painting which dates to around 1850. Richard Dorment described Cox "as the painter of sudden showers, blustery clouds, and late March winds blowing across the open countryside. The contemporary of Turner, Constable and Bonington, he ranks just below them in the hierarchy of English landscape painters. While Peter De Wint and John Sell Cotman celebrate the stability of the English landscape by painting its shady groves, gentle hills or weathered buildings, Cox's gift lies in his ability to capture nature's shifting light and restless movement with broken, flickering brush strokes"
Framed in a gilt gallery frame 42 inches by 34es inch. In excellent condition. Excellent condition with some restoration.